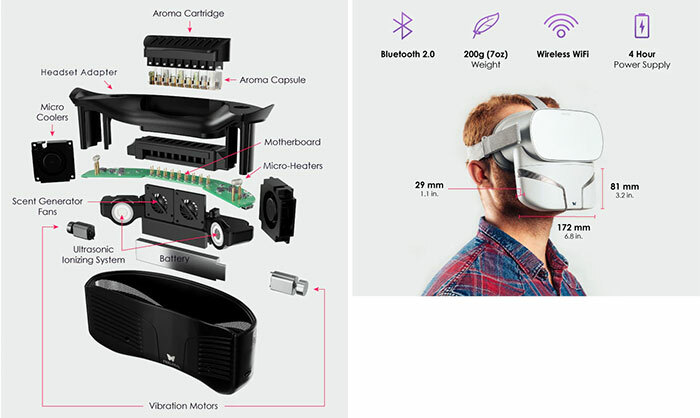 If you are of the opinion that a VR experience can only improve by addressing more of your senses, then the Feelreal Multisensory VR Mask might be for you. 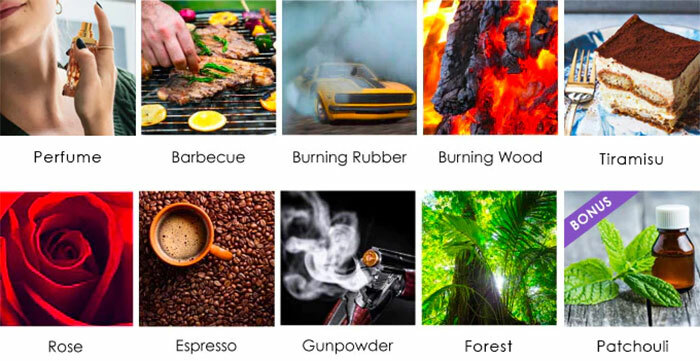 The Feelreal project promises to augment your VR HMD with “smells, hot and cool wind, water mist, vibration and punches,” and debuted on Kickstarter yesterday. Within an hour the project had gained enough backing to eclipse its US$20,000 goal, and at the time of writing an impressive total of $75,000 has been raised. The developers of the Feelreal say they have been working on and refining this product for four years. To get you started the Feelreal team has created some presents, dubbed ‘Feelreal Moods’, that can be applied to games and experiences. For example Skyrim, Beat Saber, and Death Horizon have presets so that senses will be triggered appropriately as you play. Feelreal has created some of its own ‘Dreams Experiences’ where you can wander around various exotic environments in your headset, showcasing the immersion and flexibility of its offering. If there is no existing Feelreal Mood for your favourite video, and you don’t know of anyone else working on one, the Feelreal Video Editor allows you to add scents, wind, vibration and so on as events on the video timeline. However, it sounds like game developers will need to do some work with the supplied SDK for Unity and Unreal Engine “to easily patch sensory effects into their games and experiences”. 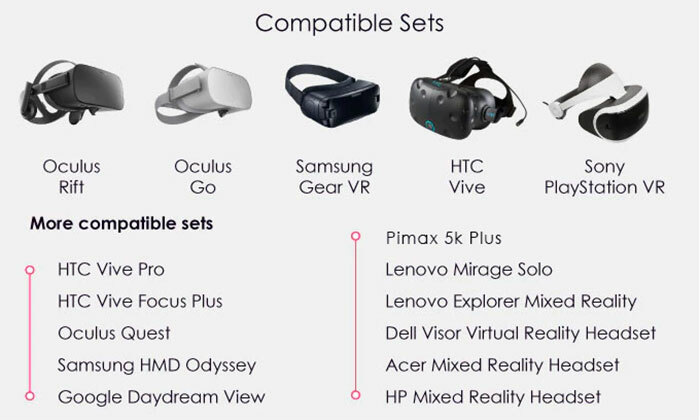 Feelreal is very widely compatible with headsets available currently. Fittings are supplied to make it a cinch to connect up to the HMDs shown in the graphic above. The Feelreal is expected to be priced at US$299 in retail but Kickstarter backers can ‘secure’ one for $209 at the time of writing (20 hours to go). Shipments are estimated to start from August 2019.